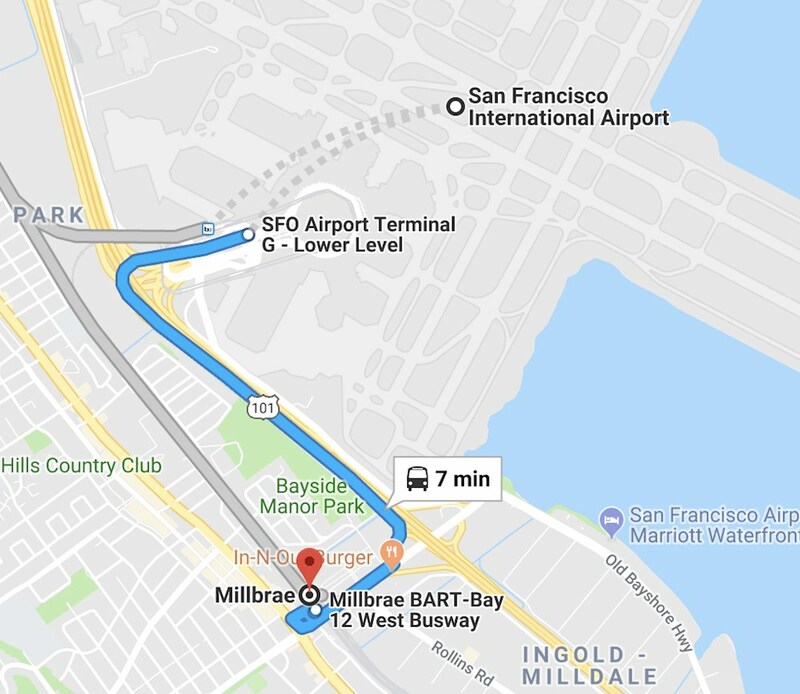 BUS (direct SFO - Millbrae Transit Center) recommended. 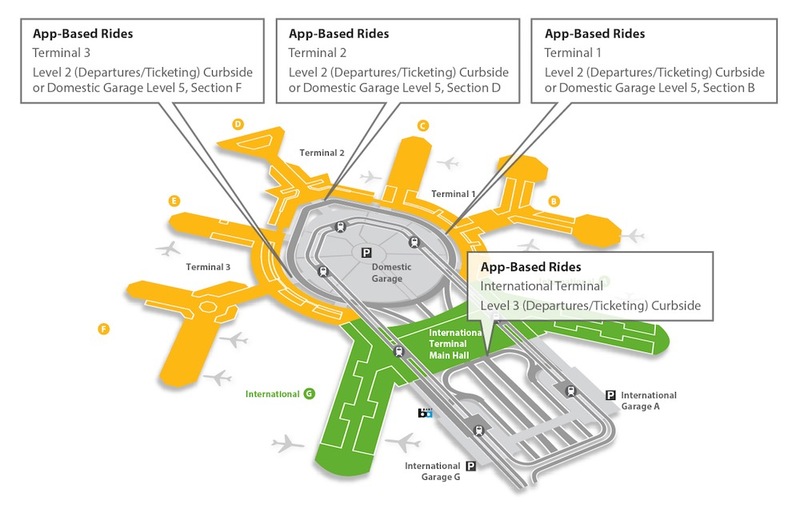 App-Based Rides terminal 3: Level 2 (Departures/Ticketing) Curbside or Domestic Garage Level 5, Section F.
App-Based Rides terminal 2: Level 2 (Departures/Ticketing) Curbside or Domestic Garage Level 5, Section D.
App-Based Rides terminal 1: Level 2 (Departures/Ticketing) Curbside or Domestic Garage Level 5, Section B.
App-Based Rides International terminal: Level 3 (Departures/Ticketing) Curbside. VTA Airport Flyer (Route 10) makes frequent stops between the Airport and the Santa Clara Caltrain Station. Terminal B: Terminal B Ground Transportation Island - Stop #8 and 9. Terminal A and International Arrivals: Terminal A Garage Curbside - Stop #1. Take US 101 South towards San Jose. Drive approximately 17 miles. Exit at University Avenue and stay left towards Palo Alto. Continue on University Avenue and drive approximately 2 miles. Turn left onto Ramona Street. The Cardinal Hotel is at 235 Hamilton Avenue (at the corner of Hamilton Avenue and Ramona Street). Take US 101 North towards San Francisco. Drive approximately 13 miles. Exit at University Avenue. Follow signs to Palo Alto, up over the freeway onto University Avenue. Continue on University Avenue. Drive approximately 2 miles. The Cardinal Hotel does not have On Site Parking. 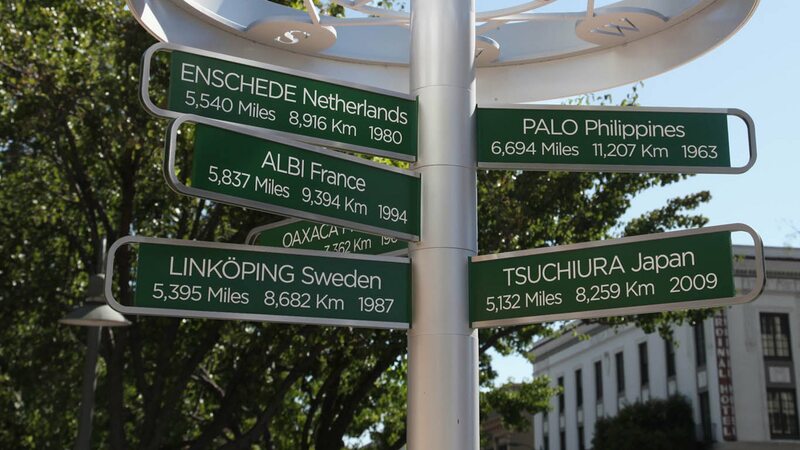 Guests must park in the City of Palo Alto Public Parking Lots or on the city streets around the hotel. The closest and largest Public Parking Lot is located diagonally across the street from the Cardinal Hotel underneath Palo Alto City Hall. Guests may park in the loading zone for 10 minutes while loading or unloading. Daily parking permits are available for purchase for $25.00 per day at the front desk. The City of Palo Alto sells these permits for the same price. 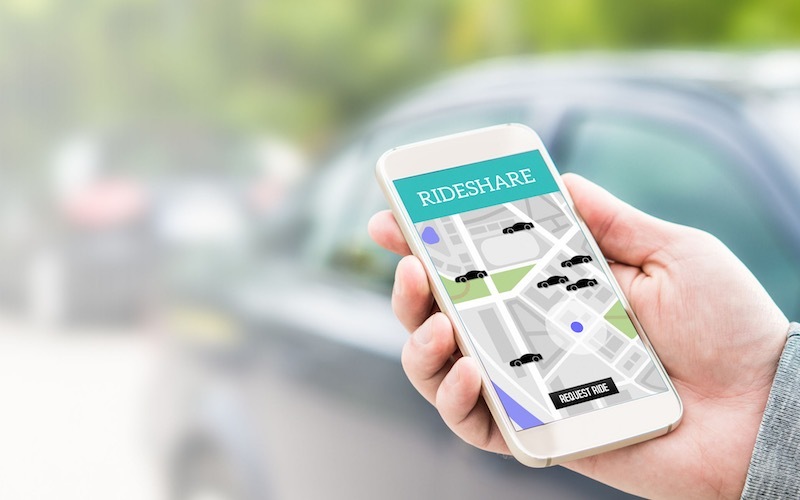 Free and unrestricted from Friday at 5:00 p.m. until Monday at 8:00 a.m.
Uber and Lyft are both popular and frequently used rideshare apps in Palo Alto. To accommodate guests that do not have an Uber account, the Cardinal Hotel has established a Cardinal Hotel Uber account that we can use to book Uber rides for our guests. The hotel will bill the cost of the Uber directly to the guest’s room. 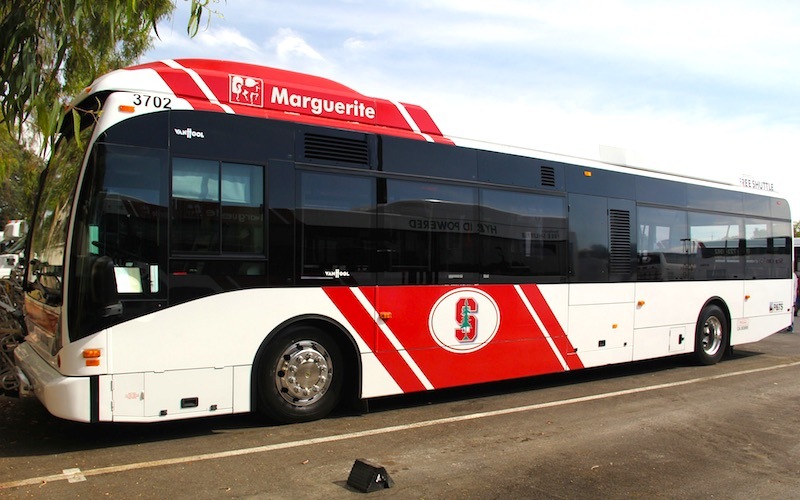 The Marguerite is Stanford University's Free Campus Shuttle Service. The Marguerite Shuttle offers a number of routes that can be useful to guests at the Cardinal Hotel who wish to use free transportation to access Stanford University, SLAC, the Stanford Hospital, Shopping Center or Stanford Research Park. 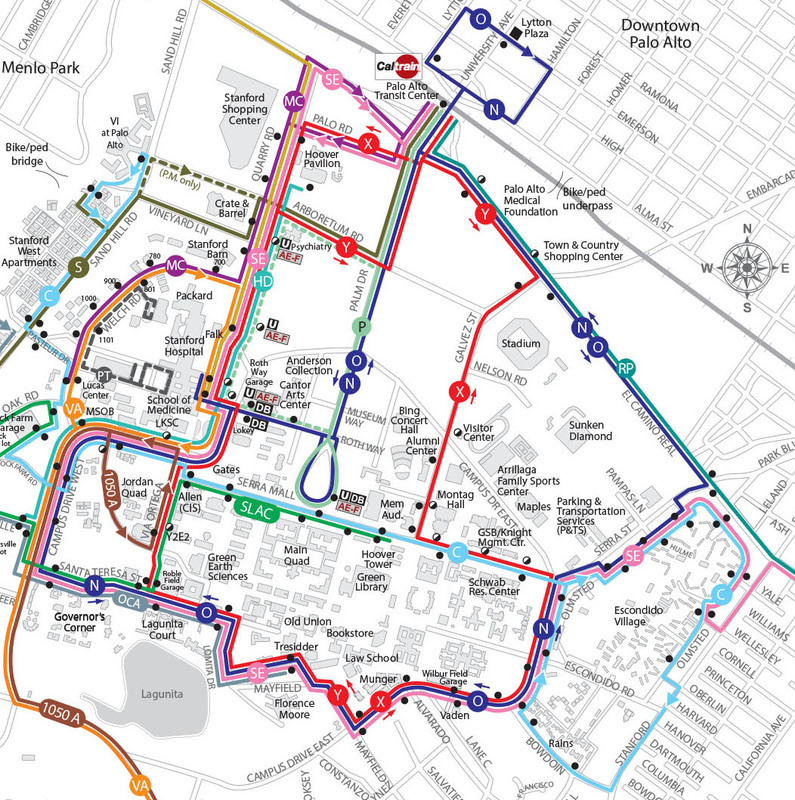 Most shuttles lines connect the main campus with the Caltrain station (Palo Alto Transit Center) which is a 7 minute walk from the Cardinal Hotel. 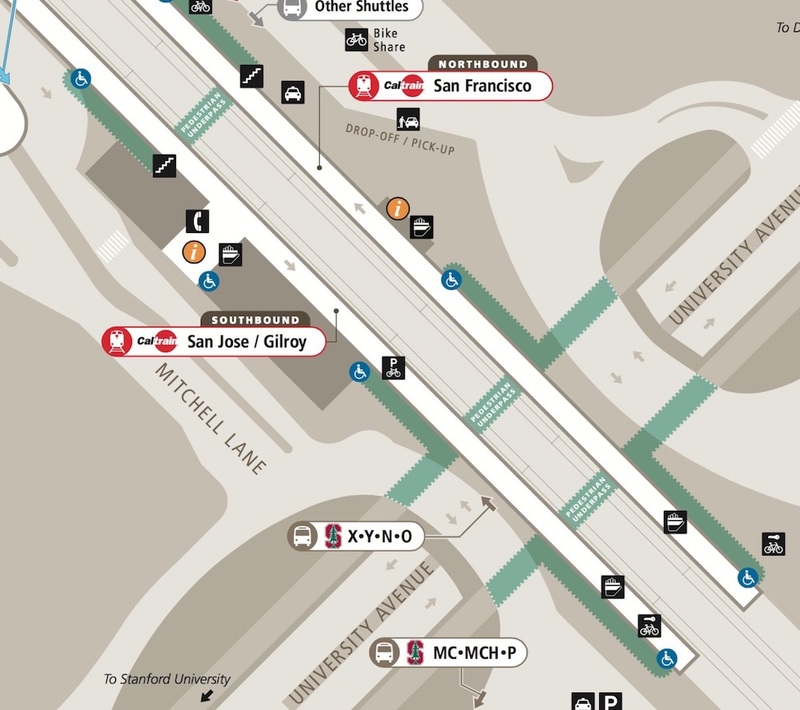 Stanford Shuttle lines (X,Y,N,O) and (MC, MCH, P) are located on the El Camino side of of the Caltrain tracks and can be accessed from the Cardinal Hotel by walking west on University Ave and crossing underneath the train tracks. Bicycling in Palo Alto is a very popular option. There are bike rentals available from Bike Connection; just a few blocks away on El Camino Real. You can visit them online or call them at 650-853-3000, and they will be happy to rent you a bike for the week or just the day. 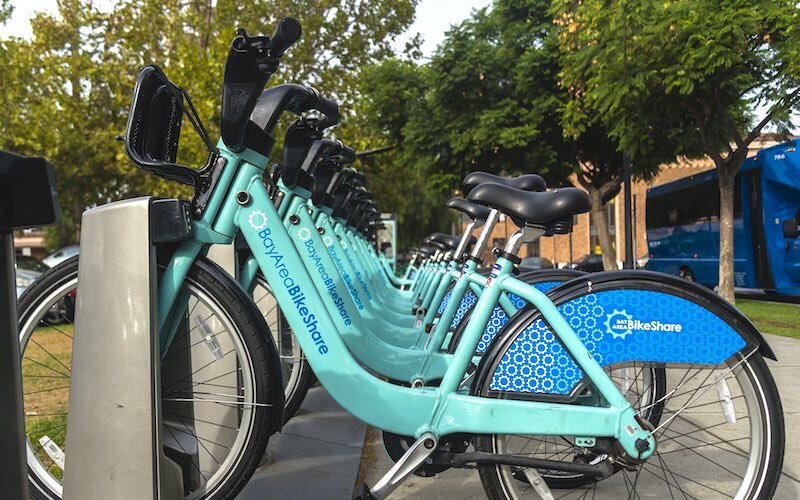 Another popular option is BikeShare which offers short duration bike rentals from automated kiosks. 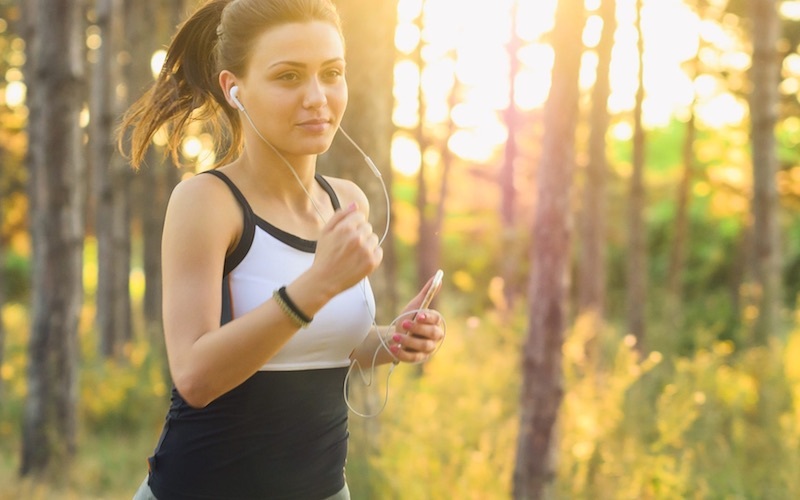 Many people have asked us for our recommendations for the best places in palo alto to go running or walking. Usually we recommend the Stanford campus. But where? Well, here you are, a list of our all time favorite routes in and around Stanford University. You may cancel your reservation without penalty only if you cancel by 2:00pm the day prior to arrival. If you cancel after 2 pm the day prior to arrival, you will be charged a penalty equal to the cost of 1 night’s room + tax without exception. The Cardinal Hotel will not waive late cancellation charges for any situations that are considered outside of the guest’s control such as a flight cancellation or delay, a personal or family member illness, or change in business related plans. We encourage you to purchase travel insurance to insure against any unexpected changes in your travel plans. We will not refund a no-show charge incurred due to a booking error made by the guest or the guest’s booking agent. The Front Desk will receive packages on your behalf during your stay. Within 3 days of your arrival we can receive up to 8 cubic feet of packages. Prior to 3 days before, the hotel will charge a storage fee of $5.00 per day per cubic foot and a minimum storage fee of $10.00 per day. We can not receive and store packages after your stay. The hotel does offer limited shipping services via USPS or UPS at an additional fee only for items left behind. Please note that from August 1st, 2017, The Cardinal Hotel will not accept cash or check payments. Only credit card payment will be accepted. All guest rooms are 100% non-smoking. A $250 cleaning fee will be charged to any guest who violates the smoking policy. If the room must be kept out of inventory and not rented due to excessive smell and extra cleaning demands, extra charge will apply. A credit card is required for all reservations as a guarantee method at the time of making the reservation. If a 3rd party will pay for a guest’s stay, they must fill out a credit card authorization at the time of reservation or have an active account with the Cardinal Hotel. A credit card must be present and authorized for the full amount of the stay at check in. No guest can occupy a hotel room without presenting a credit card at check in. 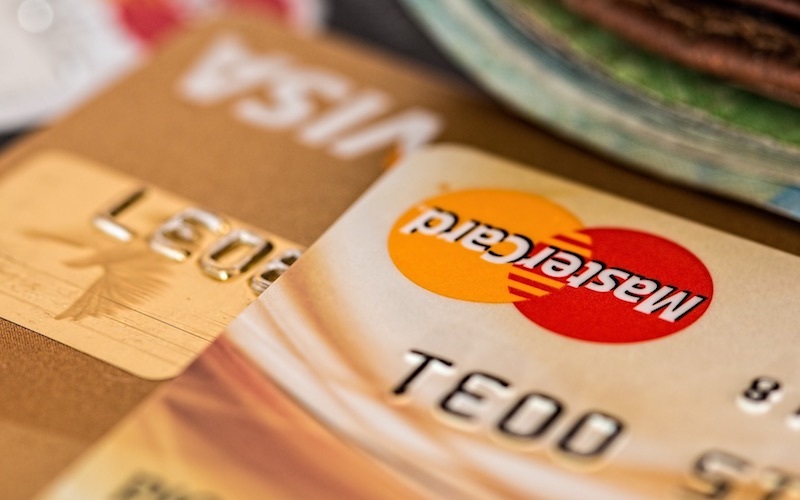 Even if a 3rd party is paying for the room, the guest occupying the room must provide a credit card at check in that can be authorized for incidentals or rooms damage. If the credit card to be used as the payment method for the hotel stay will not be present at check in, we require a credit card authorization form be completed by the card holder and returned prior to the guest's arrival. An active corporate account or Stanford Dept account can be used for direct billing of a guest stay. Form Fitness is Palo Alto’s premier fitness center. Conveniently located in the heart of downtown at the corner of Lytton and Bryant at 445 Bryant. Form Fitness is open 7 days a week and has a host of services and amenities for its members and guests. Guests can purchase discounted day passes to Form Fitness Palo Alto. Day passes are $15.00 per day and may be purchased with your reservation online or at the hotel front desk at any time. YogaSource Palo Alto offers over 65 classes a week, including vinyasa, power, bikram, yin, restorative, yoga sculpt, and hot pilates, with some of the best instructors in the bay. We welcome students of all levels to take classes to de-stress, build strength and stay healthy. uforia studios is the Bay Area’s best combination of high energy, music driven fitness classes. At uforia studios we believe fitness should be loud, sweaty and fun. We are on a mission to create a community that brings joy with every heart pounding beat and drop of sweat. 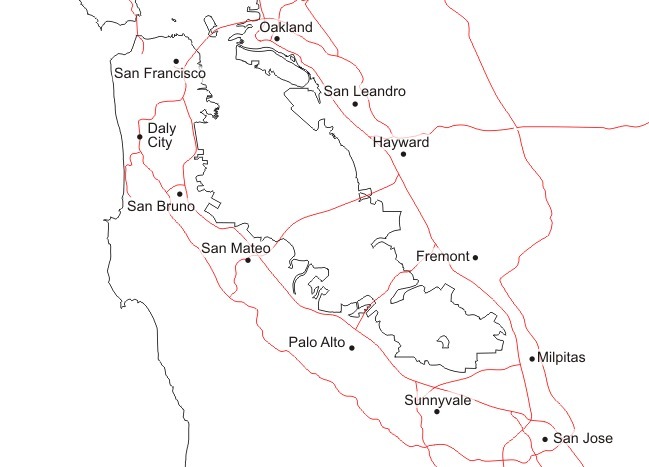 DO I NEED A CAR IF I AM COMING TO PALO ALTO TO VISIT STANFORD UNIVERSITY? 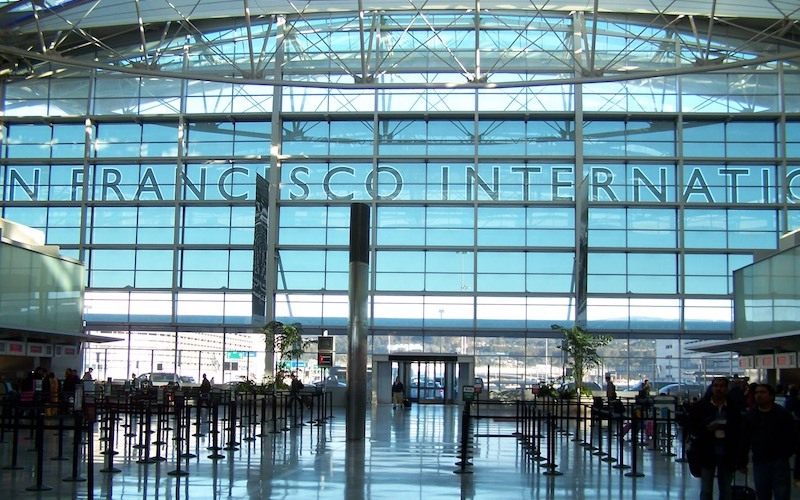 If you are considering renting a car in either San Francisco or San Jose airport, we recommend considering how you will use the vehicle when you are in Palo Alto. 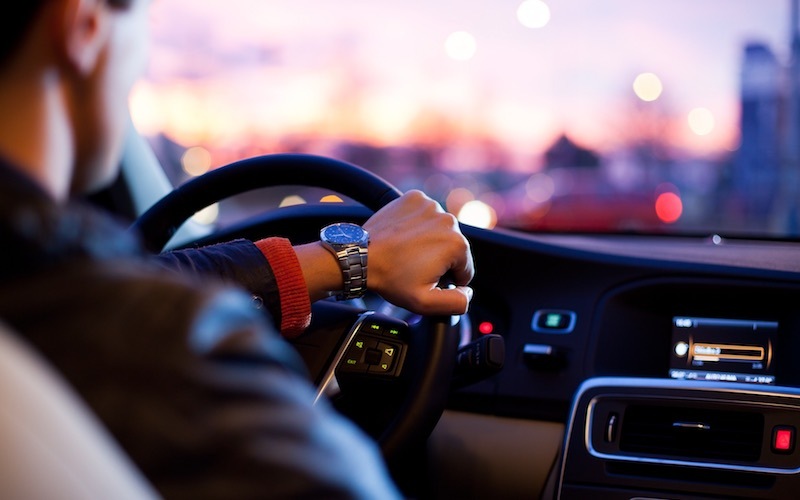 If your main purpose is to visit Stanford University, and the University is NOT providing parking for you during your stay, you should consider UBER from the airport and for getting to and from campus (1 mile from the Cardinal Hotel). We often see people rent a car, drive to the hotel, spend time looking for parking. Once they have found parking, they end up paying $25/ day to park in the public lot across the street from the hotel and take other transportation to visit Stanford University. In this case it would be better to NOT rent a car. Also, you can find almost anything else you would need during your visit within walking distance from the Cardinal Hotel. We always do our best to accommodate early check-in and late checkout requests, however these will be honored on an availability basis. Please inquire at the Front Desk about late checkout. After 1:00pm a full day’s rate will apply and the room will be extended for that night. IF MY PLANS CHANGE, WHEN DO I HAVE TO CANCEL BY? The maximum length of stay allowable is 28 days. HOW FAR IS THE HOTEL FROM THE LOCAL AIRPORTS? 16 miles from San Jose International Airport - approximately 20 to 60 minutes away by car or taxi. The Cardinal Hotel does not have on site parking. 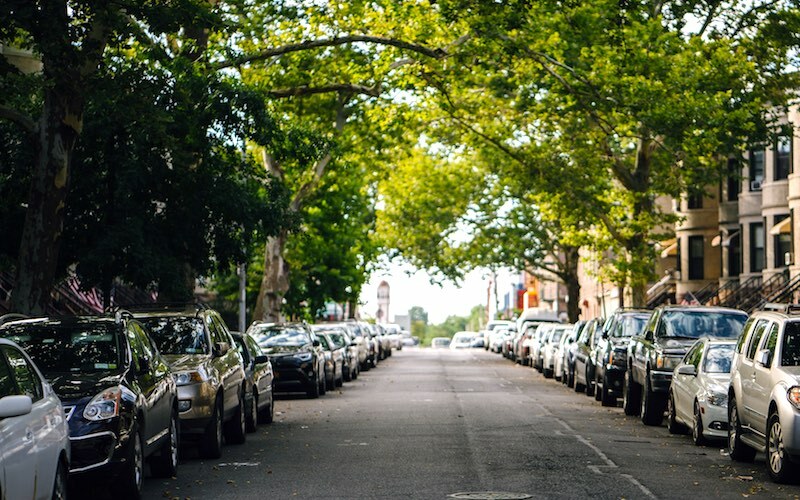 Guests must park on the city streets or in the public parking lots. The closest public parking lot is located diagonally across the street from the hotel underneath Palo Alto City Hall. Weekday parking in Palo Alto is free but time limited from 8:00 a.m. to 5:00 p.m - 3 hours underneath the City Hall and 2 hours for on street parking. Daily parking permits are available for purchase for $25.00 per day at the front desk. Weekend parking is free and unrestricted from Friday at 5:00 p.m. until Monday at 8:00 a.m.
Concierge service is available at our front desk. Our team is well versed in recommendations regarding local dining, attractions and special events. 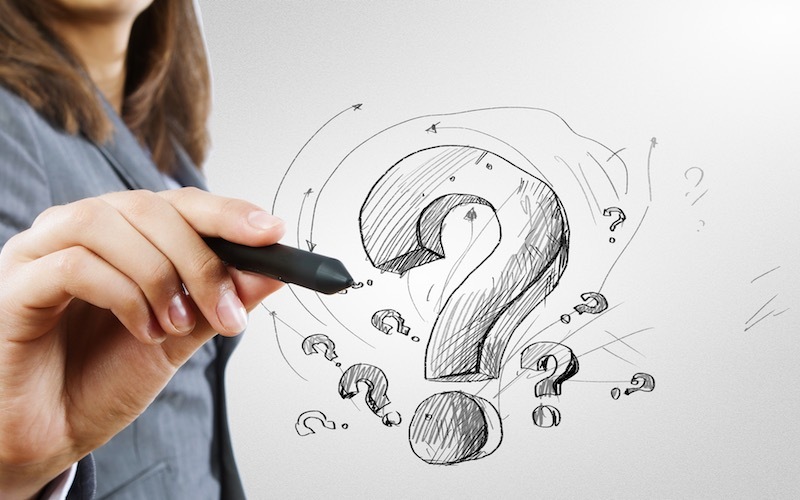 CAN I RECEIVE PACKAGES AT THE HOTEL? Yes, our Front Desk will receive packages on your behalf during your stay. Within 3 days of your arrival we can receive up to 8 cubic feet of packages. Prior to 3 days before, the hotel will charge a storage fee of $5.00 per day per cubic foot and a minimum storage fee of $10.00 per day. We can not receive and store packages after your stay. The front desk will be happy to send or receive faxes for you as a registered guest. Please be advised that there is a $.50 fee per page for this service. Due to the increasing lack of reliability of our local taxi company, the Cardinal Hotel does not recommend using taxis for your transportation needs. Due to the historic nature of our hotel, our guest rooms do not have air conditioning. All of our rooms do have windows which open and feature ceiling fans. We also have Dyson fans available by request available. WHAT TYPE OF BEDDING AND PILLOWS ARE PLACED ON EACH BED? Each guest room is fitted with luxurious white goose down comforters. All of our luxuriously soft beds sport both white goose down pillows and hypo-allergenic pillows. We also offer hypo-allergenic bedding and pillows upon request for our guests. WHAT ROOM CATEGORIES ARE AVAILABLE, AND WHAT ARE THE DIFFERENCES? We offer a wide range of room categories to meet your needs. Please see detailed descriptions under the rooms section of this website. The Cardinal Breakfast is included in all reservations for Standard and Deluxe room types booked directly with the hotel or via our website. If the Cardinal Breakfast is included in your room and you would like to have the Continental Breakfast instead, we are happy to make that adjustment for you. Complimentary breakfast is not included with our Shared Bath Style rooms. Cardinal Breakfast & mimosas are included with our Bed & Breakfast package. The Cardinal Breakfast may be added for $18.00 or a Continental Breakfast for $12.00. 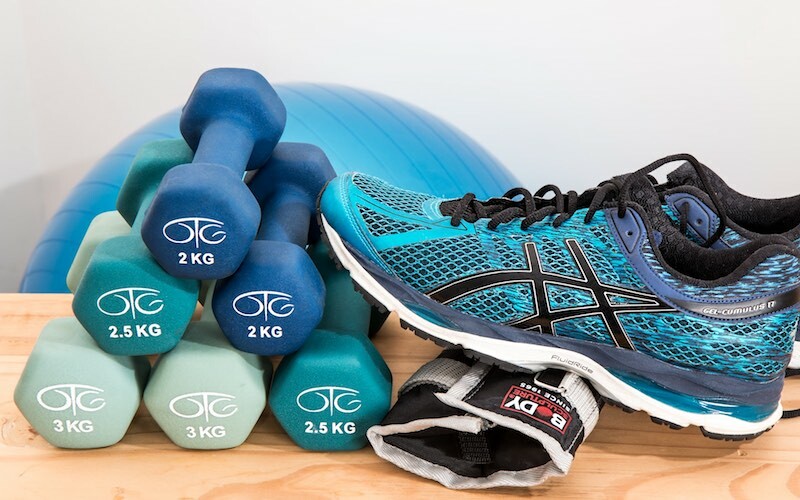 WHAT FITNESS CENTERS ARE LOCATED NEARBY? CAN STANFORD UNIVERSITY ATHLETIC EVENTS BE PRE-BOOKED? Complimentary high-speed WiFi is offered in all common areas of the hotel and guest rooms. There are many consulate offices located in downtown San Francisco which is approximately 60 -90 minutes travel time from the Cardinal Hotel in Palo Alto. Further information can be accessed via the San Francisco Chamber.